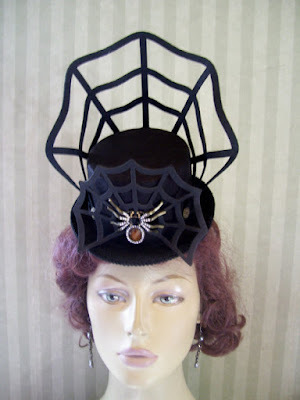 This week I wanted to share with you this delightful hat shop, based in Clinton, Iowa. 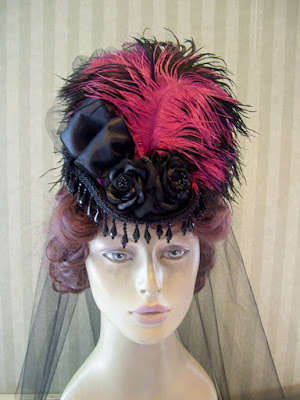 I highly doubt any of us goths will be going to the Kentucky Derby (I could be wrong though), but many of the gorgeous hats here would be perfect for goth tea parties, cemetery picnics, afternoon tea, strolling the Queen Mary, shopping excursions during goth conventions, etc. 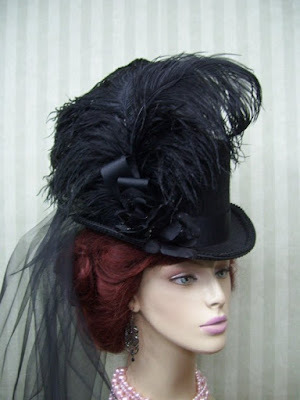 There's a whole section of steampunk hats, many with feathers. I like that everything here isn't sepia - there are some amethyst purples and blood red hats here too. 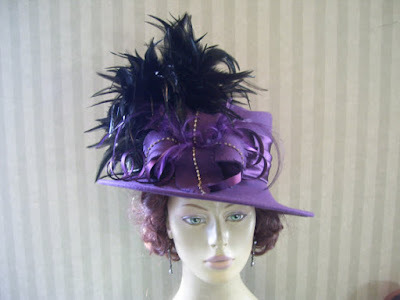 The Victorian Hats section is pretty small currently - only two hats offered as of today. There's a large selection of mini top hats here (though many are larger than I would have expected). I haven't yet worked up the courage to wear mini top hats in public; I'm not quite convinced they look all that nice on me. Check out the stunning top hats! They're surprisingly affordable, too. I'm planning on buying one for a prop to use in my home photography studio, only I'm having trouble deciding which one! 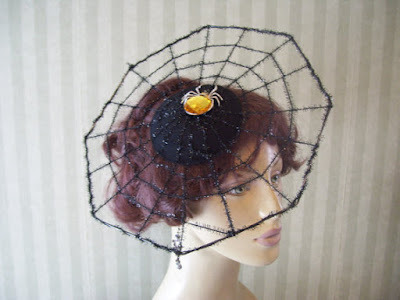 There's a section for fascinators, many of them with a spider web theme.